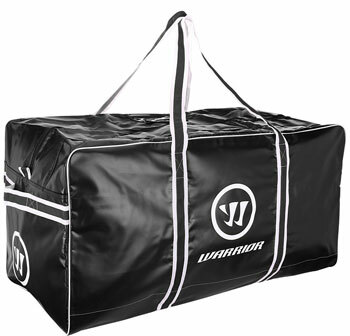 The small Warrior Pro coaches Hockey Bag features the same design as the Pro Player Bag but scaled down to only fit the coaching essentials. The bag is constructed of an extremely solid 1000D polyvinyl. The coaches&apos; version is the perfect size to fit skates, gloves and more with plenty of room for tools and accessories in the 5 internal mesh pockets. 22" x 14.5" x 12.5"